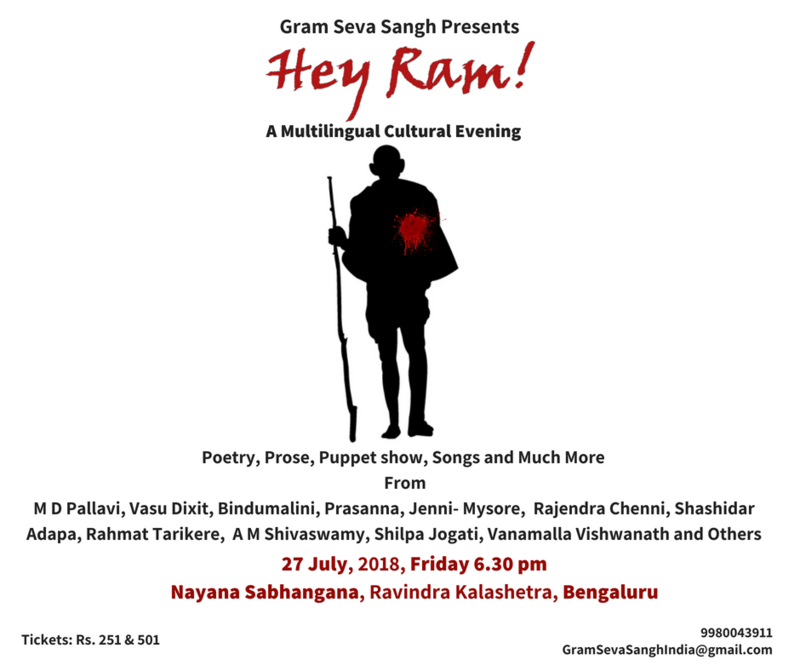 from M D Pallavi , Prasanna Vasu Dixit, Bindumalini, Jenni- Mysore, Rajendra Chenni, Shashidar Adapa, Rahmat Tarikere, A M Shivaswamy, Shilpa Mudbi, Vanamalla Vishwanath and Others! As part of the protest against the imposition of GST on the Handmade and cultural performances, we are selling these tickets without collecting or paying the GST at Rs.501. The tickets are also available to Rs.251. We, the producers of the event are willing to be legally punished for this, but, shall not end the satyagraha till the tax is rescinded!